Here are some handy-dandy tips to ensure your dog has a safe and fun stay at WOOF! We feed twice a day (breakfast and dinner) and lunch upon request. We can feed your dog from our pantry at no extra charge! We stock Kirkland brand lamb and rice formula. We recommend you bring your dog’s own food because most dogs will develop tummy issues with a sudden food change. For personal food, package it individually per meal in Ziploc bags. Write your dog’s name on each bag! We can add wet food, broth or other items to kibble by special request. Make sure to bring enough and write your dog’s name on each item! We have a refrigerator but limited freezer space – please keep this in mind with perishable items. We have spoons and measuring scoops – no need to bring those! Bring a Ziploc bag of personal bedtime treats and we’ll be happy to give your pup a yummy ending to his day. Write your dog’s name on the bag and “bedtime treats”. You may also choose a variety of special bedtime treats (doggie ice cream, bully sticks, pigs ears) for a small fee! Leave your leashes and collars with us! On departure day, your dog will be brought up on his/her personal leash. Forgot your leash? 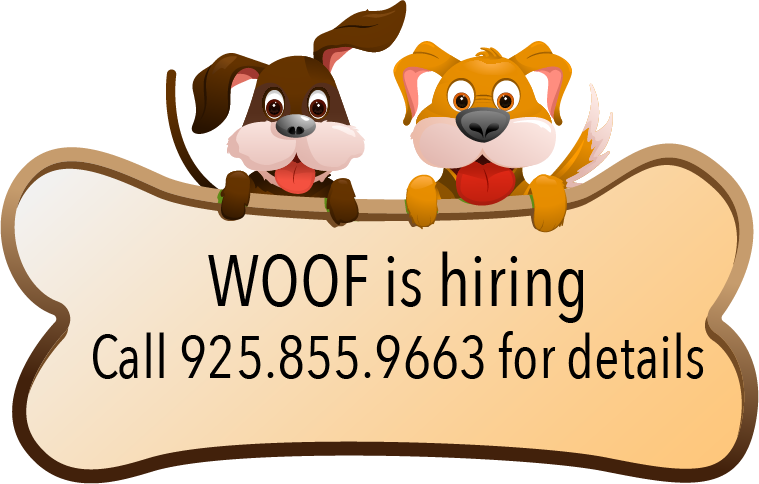 Ask for a complimentary WOOF leash! Leave your toys at home! We don’t use toys in group play as they may initiate fighting. We also don’t leave toys or “chewies” in your dog’s sleeping area overnight as they can pose choking hazards. Leave your personal beds at home! We prefer to use WOOF’s cushy soft beds as they were selected especially to provide comfort and wash easily. If your dog has special needs in regards to bedding (arthritis, chews soft beds, etc. ), let us know. We will be happy to accommodate you. We furnish all the bowls your dog will need for food and water. If your dog has a special bowl (for example, a “scarfer” bowl that slows down his eating), please let us know! Make sure to bring your medications clearly labelled with dog’s name and dosing instructions. If your dog takes many medications per day, ask for one of our complimentary pill boxes! It makes complicated dosing much easier and safer for our staff to administer. We prefer not to give medications in a meal as we want to ensure your dog ingests everything as instructed. We can make exceptions for vitamins or supplements – just ask! Our staff is fully trained on oral, topical and subcutaneous medication administration. 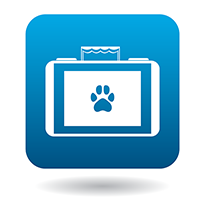 You may choose to have your dog bathed on departure day. We bathe dogs according to their meal and play schedules and can’t always time the baths directly before pick up. Read about our baths here. You can request for your dog not to have any group play following his/her bath if you’d like to ensure ultimate cleanliness at pick up! SPECIAL REQUESTS – LET US KNOW! It’s important that we know what your dog needs to be safe, healthy and happy. Please add any notes or special requests when you fill out your boarding check in form. Note: please submit your boarding check in form no earlier than the week prior to drop off day! 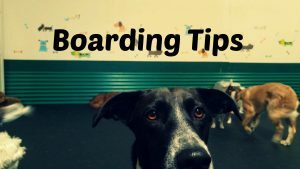 Do not fill out a check in form prior to making your boarding reservation request. Trouble filling out the form online? Call us at 925-855-9663 to do a “live” check in.